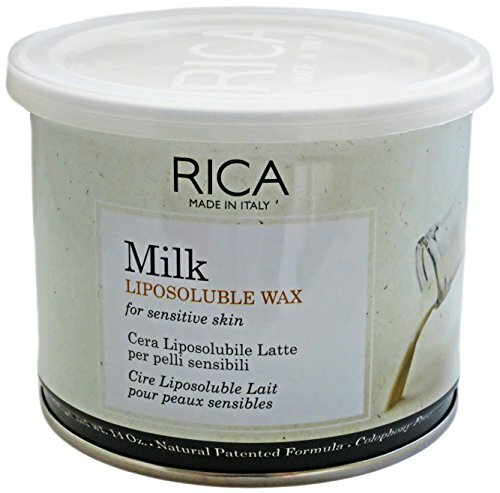 Rica Milk Liposoluble Wax for Sensitive Skin 14 oz. Which Wax is Good for Sensitive Skin? Is Hard Wax or Soft Wax Better for Sensitive Skin? How Can I Make Waxing Less Painful? Which Rica Wax is Best for Sensitive Skin? Do you experience having dry patches of skin, rashes, bumps, itchiness, easily flushed skin, stinging and burning sensation when using perfume, makeup and, other products? If you experience at least 3 out of the 7 symptoms, girl, you have sensitive skin! Having sensitive skin can be quite limiting, you can’t just use any product without being over skeptical whether or not it’ll cause a flare-up. If you’ve been wanting to join the waxing bandwagon but are quite clueless as to which brand of Brazilian wax kit for sensitive skin is the best or if it’s even recommended for people with sensitive skin, read on because I got all the deets that you need to know! Compared to other hair removal methods, waxing and IPL are highly recommended for people with sensitive skin. Most waxes are made out of natural (some are even organic) ingredients that are skin and environment-friendly. The key to make waxing work for you relies on two factors: Choosing the best wax for sensitive skin and the right waxing technique. Enjoy the goodness of milk with Rica’s Milk Liposoluble Wax. It’s packed with milk proteins that are known to soften the skin, plus other skin nourishing and soothing ingredients that are perfect for your sensitive skin. When heated, this wonderful wax spreads on your skin like a dream and can be ripped off easily without tugging on your skin. No redness, no irritation just baby soft and hair free skin. Gentle formula packed with milk proteins for sensitive skin. Grabs both coarse and fine hair. Colophony-free (Colophony or rosin is a substance derived from the sap of coniferous trees and is known to cause contact dermatitis for people who have sensitive skin). Contains Titanium Oxide and Zinc Oxide to help soothe the skin after waxing. Expensive (Is there gold mixed in here?). 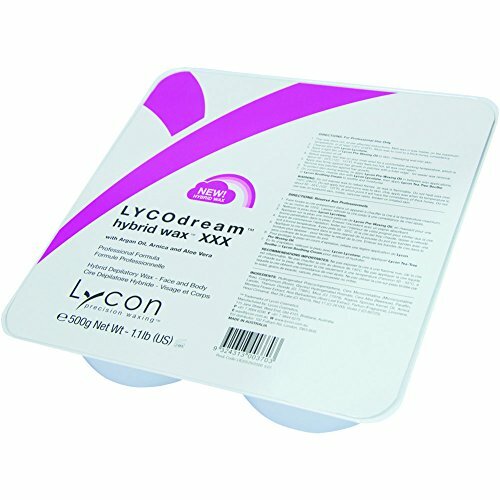 LycoDream is a cross between the traditional Lycon Wax and LycoTec film wax. Having the best of both worlds, this wax melts easily at a low temperature and acts like a cling wrap when applied, offering a comfortable waxing experience. Unlike other waxes that break and crumble when left a bit too long on the skin, LycoDream is pliable and strips off the skin easily while leaving it soft and moisturized. 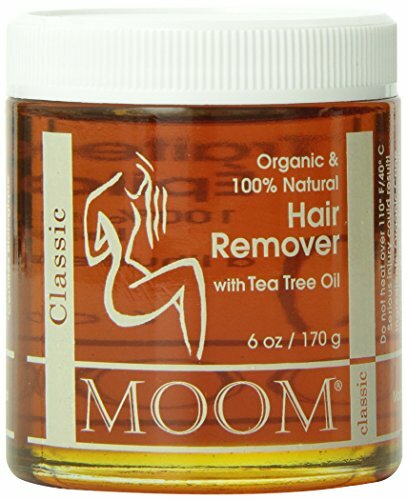 Grabs both coarse and fine hair (as short as 1mm). LycoTec technology offers pliability so you can easily strip it off without breaking or crumbling. Contains Titanium Dioxide and Arnica to help soothe the skin after waxing. Has Argan oil and Aloe Vera that soothes and moisturizes. Contains artificial colors and fragrance. Nothing is more natural than this Moom’s Soft Sugaring Wax. With a concoction made from certified organic ingredients such as sugar, lemon juice, Chamomile, and Tea Tree Oil, this soft wax is safe even for the most sensitive skin. No need to heat it up, simply apply evenly on your skin with an applicator, rub-a-dub-dub and pull the strip off in the opposite direction of your hair growth, and voila! You’re done! Got some residue left on your skin? No prob, girl! Just rinse that off in water and you’re good to go! No heating required (but you can if you want some warmth, just be careful as it heats up easily and can retain heat pretty well!). Contains Chamomile and Tea Tree Oil to calm irritation. Water soluble, clean up’s a breeze. Does not come with applicators and strips. 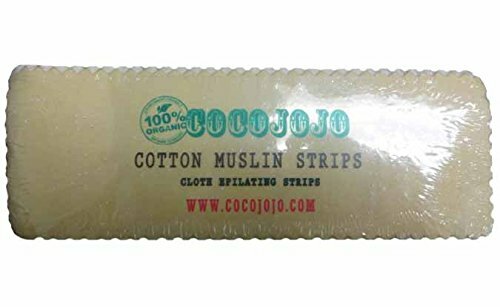 Need a good waxing strip for this product? Try this one by Cocojojo. It’s reusable, simply throw it in your washer and use it again. You’ll save mother earth and save cash in the long run! 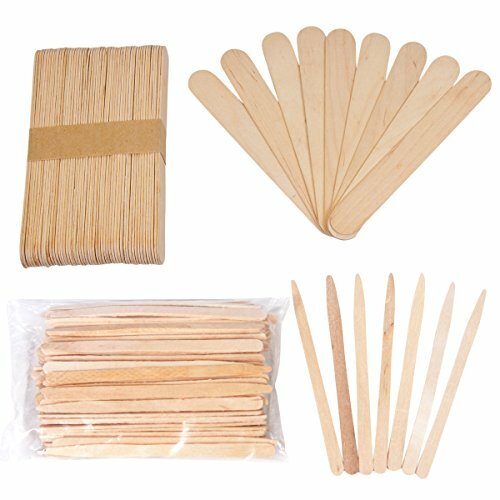 Ran out of wax applicators? Gotcha! Get your stock from JMT Beauty. It contains 200 large and 200 small applicators to keep you hair-free from head to feet. When dealing with sensitive skin, it is important to choose a wax that contains all-natural ingredients or a mild formulation that won’t trigger allergic reactions. Stay away from products with heavy scents, dyes and other chemicals that we are not familiar with. A good measure to follow is, if you can’t even read the ingredients without getting tongue-tied, then it’s not good for you. The recommendations above are the best for sensitive skin in my opinion Moom being all-natural, Rica and Lycon having no harmful chemicals that may trigger irritation (I’m hoping Lycon would veer away from using dyes and perfume). Soft wax is definitely more skin-friendly than hard wax. People note lesser pain when using soft wax compared to hard wax making it suitable for sensitive areas such as the bikini and underarms. Let’s not diss hard wax though. I must admit that traditional formulas may be harder to use and can cause redness and irritation, but newer formulas have evolved into something much better and definitely much kinder to people with sensitive skin. Erica and LycoDream may be hard waxes but their formula is really superb. They don’t crumble at all, both are really stretchy and leave a moisturizing film. Never experienced redness using these products at all (unlike when I was using Epilin). Need more info on Hard Wax vs. Soft Wax? Check out this article! Any method that pulls hair from the root is painful and does take a bit of getting used to. Avoid Caffeine – It is a stimulant after all and can make your skin extra sensitive. Pop an OTC pain medicine at least an hour before waxing. If you have low pain tolerance, you can use a good numbing cream 30-45 minutes before you start waxing. WARNING: Do NOT apply to the insides of your labia. This is for external use only. Veer away from using ice to numb the area – Ice can shrink the pores making it harder (and painful!) for you to wax. You can take a nice, warm bath instead to open up your pores and make waxing easier. Exfoliate – Slough away dead skin cells that make it hard for the wax to adhere directly on to the hair. Trim the bush – The longer the hair, the more painful it is. Hair should be at least ¼ inch before you even start to wax it, anything longer like that and it will surely hurt like hell. So, trim it! Use a pre-waxing oil – This creates a barrier between your skin and the wax ensuring that the wax only sticks to hairs and not your skin. Less tugging on your skin means less pain, redness and even bruising! The Milk Liposoluble variant mentioned above is the one formulated for sensitive skin. The good thing about this product is that it doesn’t contain any chemicals that may irritate the skin and cause redness. It has some flexibility to it and a mixture of oils that doesn’t tug on the skin when you rip it off. I would say that the pain level is around 3 out of 5, with 5 being the most painful. I’m sure over time, you’d find that the pain gets lesser and lesser as you get accustomed to it. Waxing is never pain-free but the tips above will surely help ease that pain. Finding the best Brazilian wax kit for sensitive skin may seem like a struggle in the past. I’m thankful that brands such as Erica, Lycon, and Moom understood that struggle and innovated products to cater to people with sensitive skin. If only they could do the same in the makeup department and other beauty products, I’m sure no one will get left behind on the beauty bandwagon. After all, the trend now for beauty products is being “all inclusive” and I hope that term refers to more than just the skin tone but also the skin type. Got comments, suggestions or questions? Write them all below! I look forward to hearing from y’all. Cheers to all you beautiful ladies!